Life in the Garden, originally uploaded by CircadianReflections Photography. Copyright 2013 Deborah M Zajac. All Rights Reserved. I’ve been looking forward to my Agapantha blooming because the Hummingbirds like it, and this plant is right outside my window. 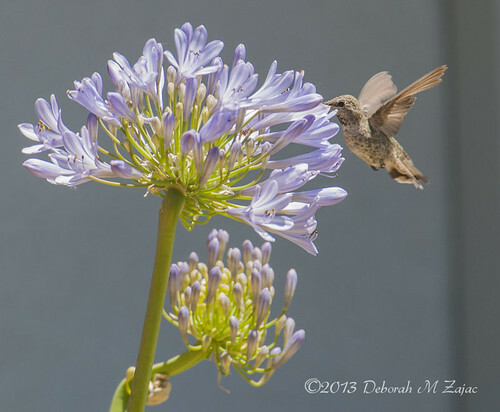 This morning I was out on the patio with Jaxon when she flew in for a taste of Nectar. Fortunately, I thought to take my camera with me.